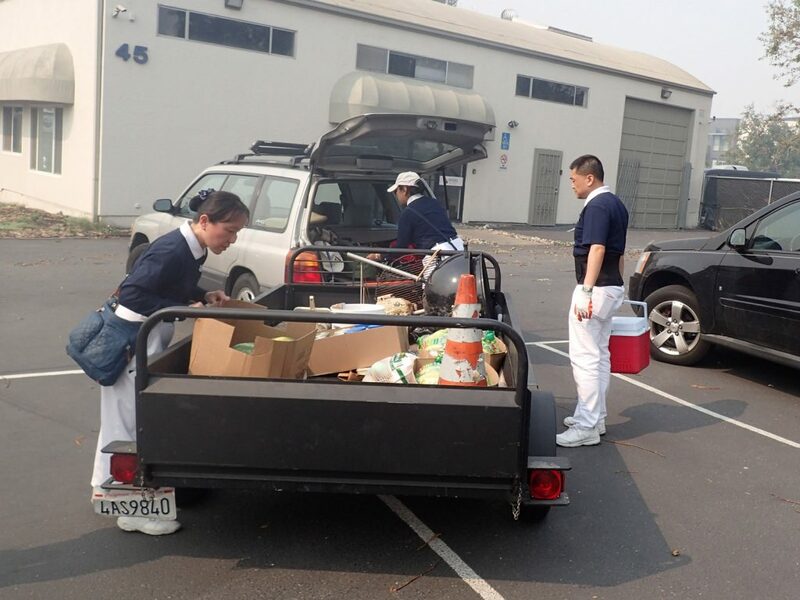 Shortly after a series of wildfires sparked in Northern California on Sunday, October 8, 2017, Tzu Chi volunteers mobilized to deliver hot meals to evacuees, assist with shelter setup, as well as assess damages in the affected areas. 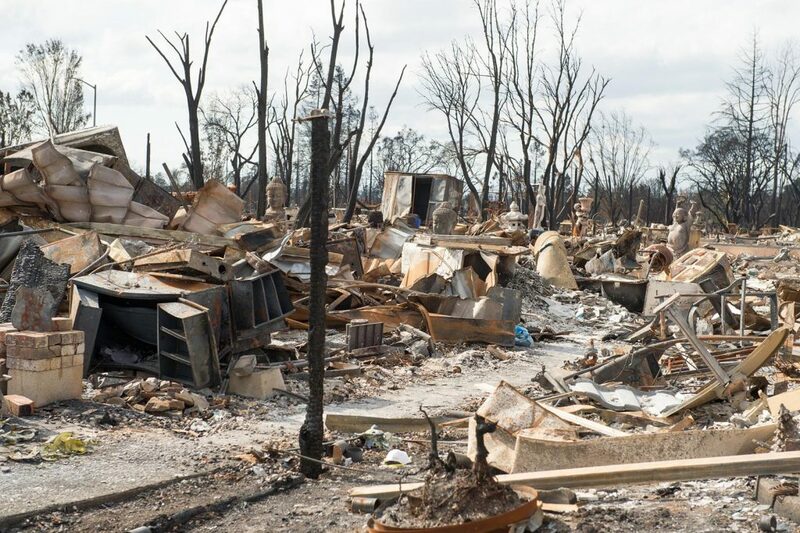 Your donation can help people affected by recent natural disasters. Below is a documentation of our California wildfire relief efforts. We will continuously provide detailed updates on this mission. Please keep the people impacted by this terrifying situation in your thoughts and heart, and support Tzu Chi Relief disaster aid. Together, by joining hands and offering our love, we can bring relief where it’s desperately needed. 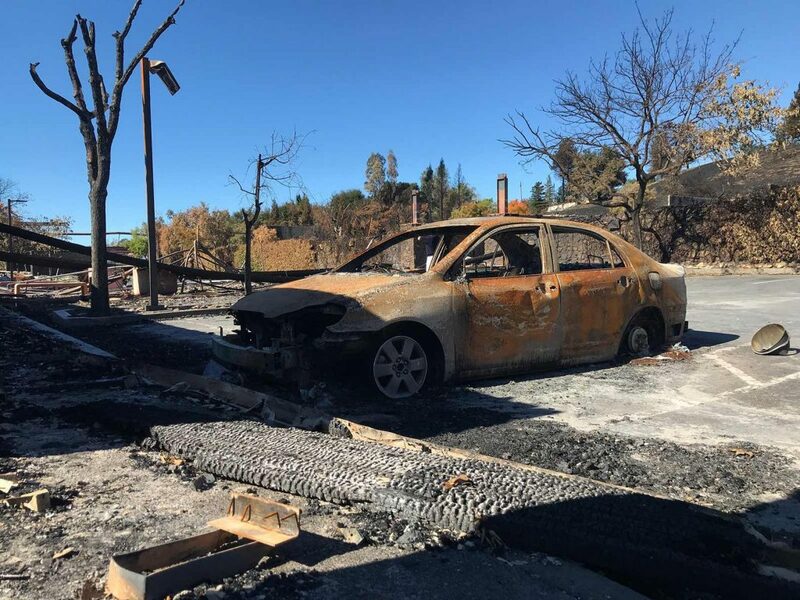 Efforts to rebuild have finally begun to take hold across Santa Rosa as contractors press on with the goal of clearing away the most hazardous debris from the wildfires. It will undoubtedly be a slow-moving process, but with our continued relief efforts, we’ll strive to alleviate the worries of residents, and help them regain their footing. 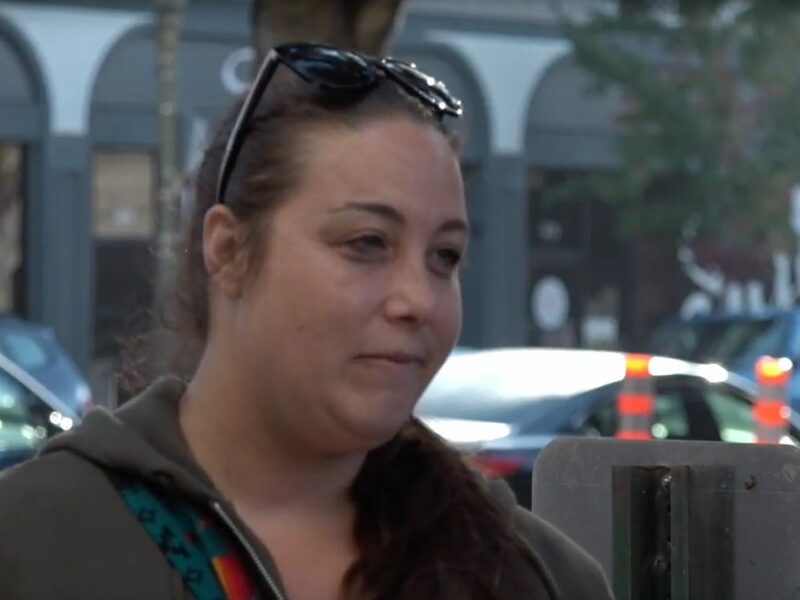 The love goes both ways at our distributions, as impacted residents share their experiences, and volunteers foster a genuine connection with each person they serve. You can see their smile… Even though we are both in tears. I feel deeply touched. I get very emotional. I’m glad we can help. To date, our Northern California wildfire distributions have provided a total of $584,200 in aid, benefitting 1,280 affected individuals. It’s just a community of love and [taking] care of each other, so, they help everybody, no matter what. We hope to continue empowering those who are struggling with love, respect, and care, so that they know they are not alone. 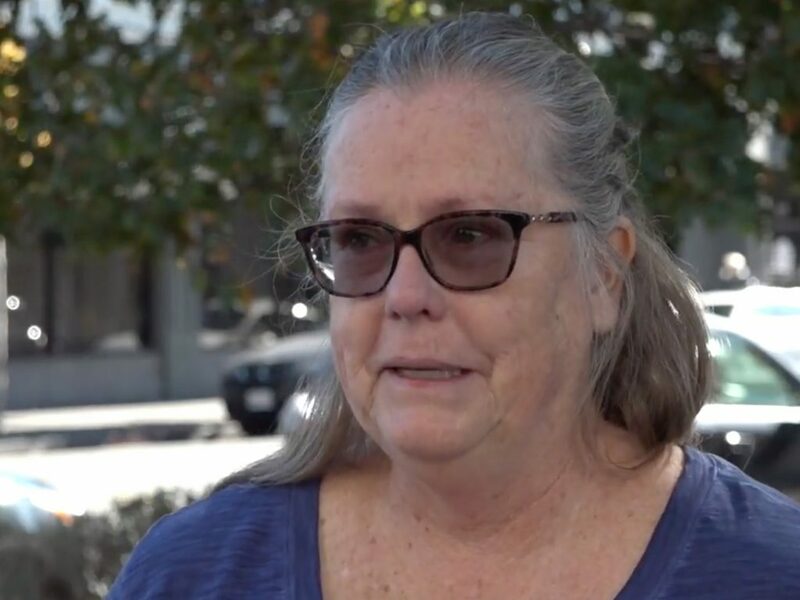 One month after the North Bay wildfires, residents are struggling to rebuild, and through our continued wildfire relief distributions, we’ve helped soothe their concerns, providing over 700 cash cards at the Santa Rosa Local Assistance Center. I keep waking up and thinking that there’s gonna be fires… It’s been really hard to go to work, and to just leave my house, because I’m so fearful, and I have so much just anxiety from it all. 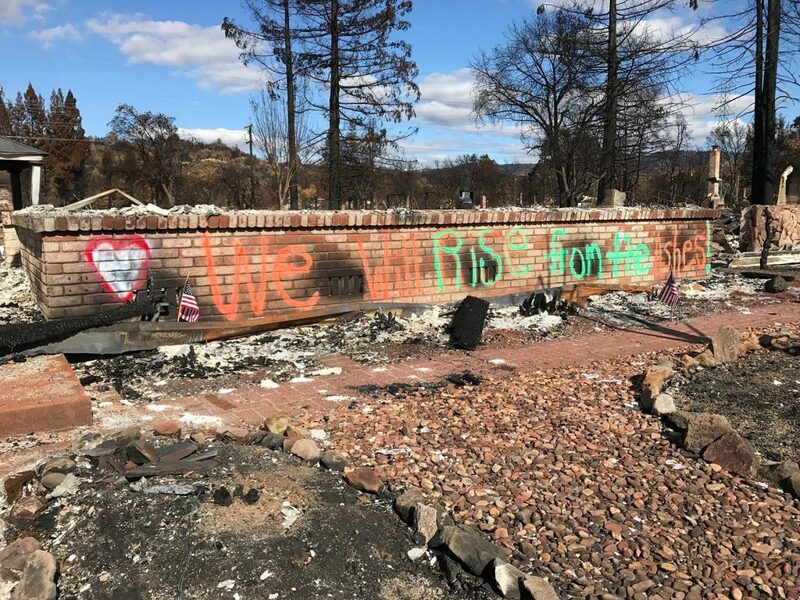 The community of Coffey Park has been “wiped clean,” as described by a care recipient, but as one message in Santa Rosa reads, residents “will rise from the ashes,” begin anew, and work through the hardships toward a brighter future. I really want to do my best to bring Santa Rosa back to what it’s like before the fire. We will all work together. 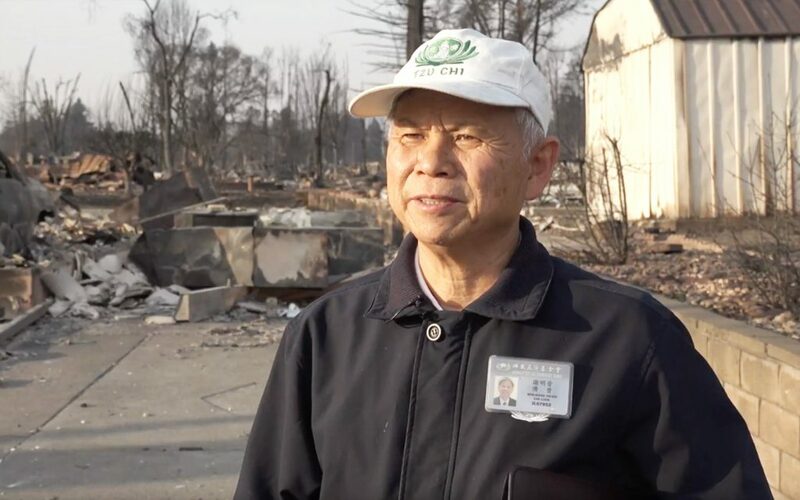 Tzu Chi Relief volunteers have revisited Santa Rosa to further assess the affected areas, and were pleasantly surprised to discover unmistakable signs of new beginnings after the catastrophic wildfires: the regrowth of plant life. Our volunteers are also continuing to provide disaster aid cash cards, as well as their attentive care, to those impacted at the Local Assistance Center. 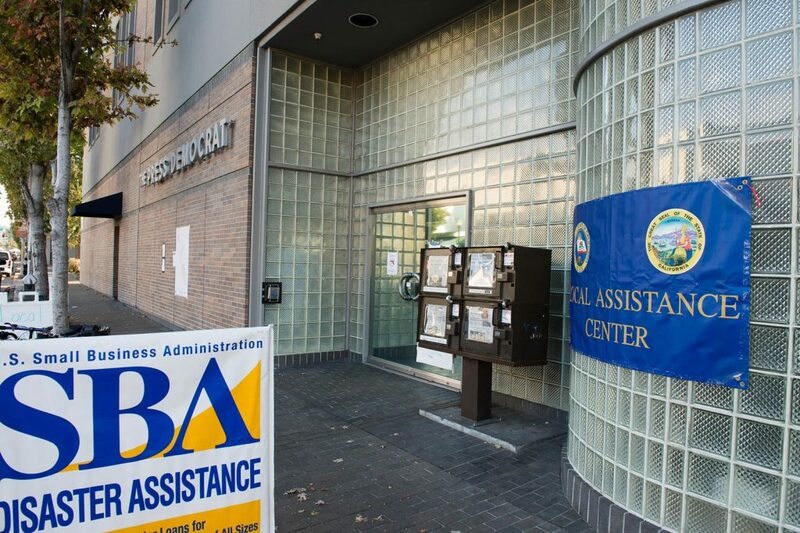 Our wildfire relief distributions at the Napa and Santa Rosa Local Assistance Centers served 342 impacted households, providing a total of $162,600 in financial assistance. The immediate assistance was provided directly to families in turmoil as they face what lies ahead after losing everything to the flames. 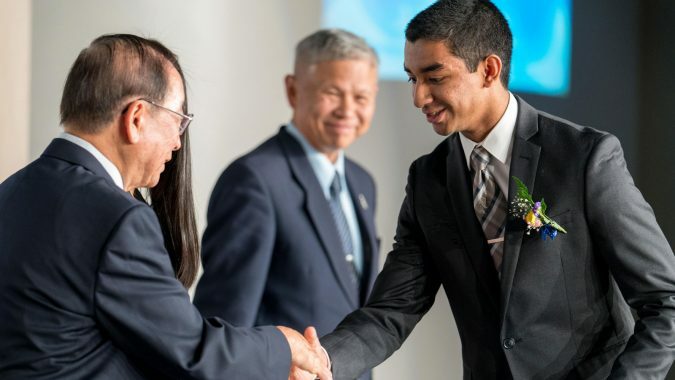 Tzu Chi Relief volunteers – 42 from across the state and the country – were there to offer support, and listen to the heartbreaking accounts that people shared about what they had experienced. 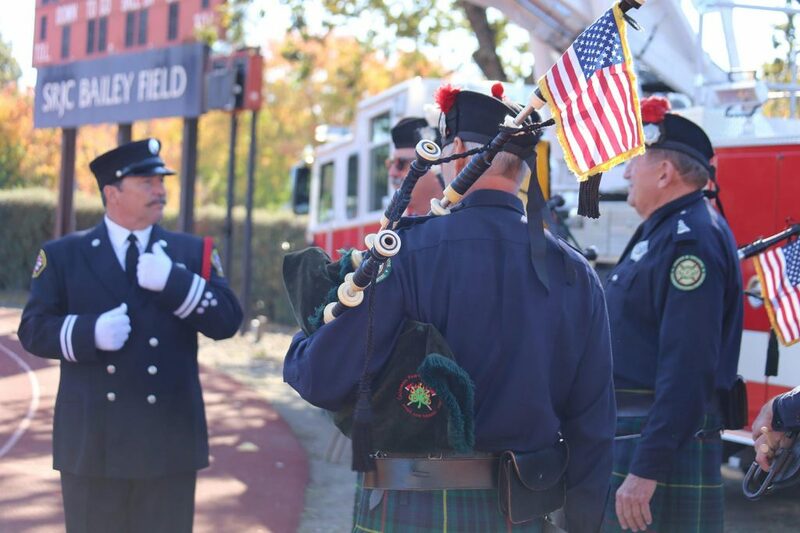 A Day of Remembrance was held in Santa Rosa, California, to commemorate the 42 people who lost their lives during the October wildfires. 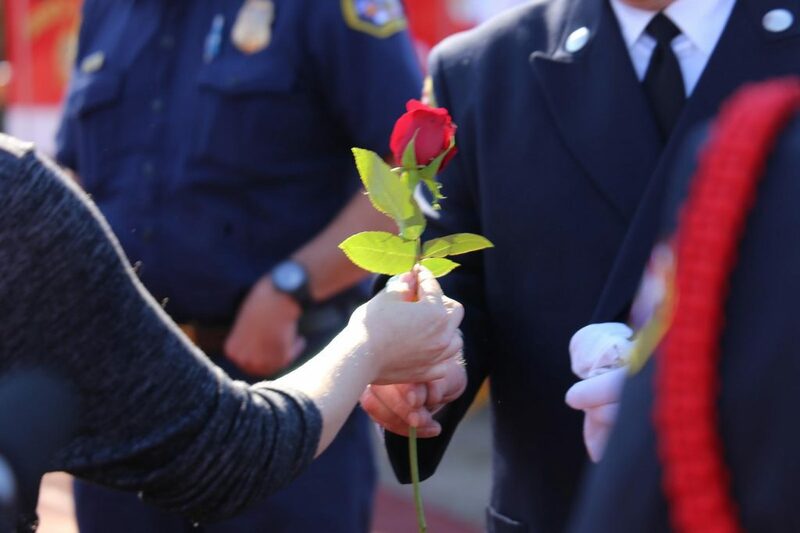 The community joined together to share its grief as well express appreciation for the spirit of solidarity and the level of commitment of first-responders in the midst of the catastrophe. 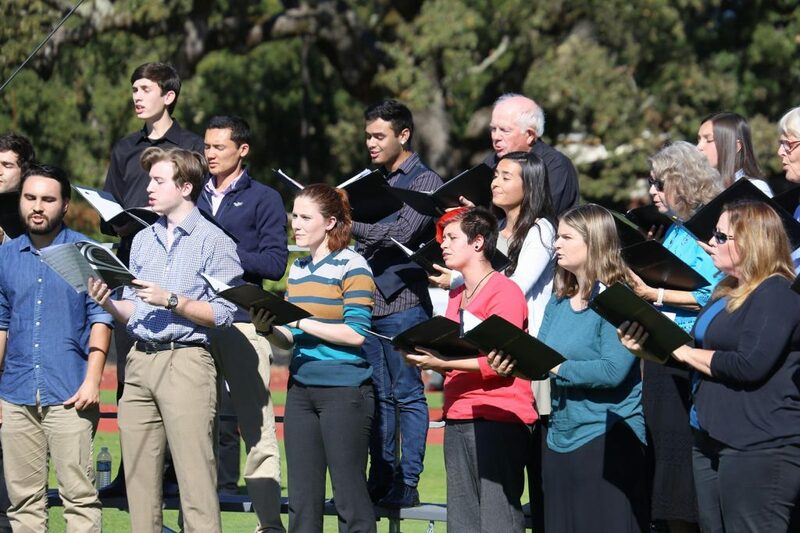 With the chaos of the recent tragic fires, a day of reverence steeped in love and humanity was a welcome reprieve for many. Our hearts are one with those who are suffering, and through our relief efforts, we’ll continue striving to bring direct aid for those impacted. Our first disaster aid distribution took place in Santa Rosa, where we were grateful that we could provide emergency aid cash cards to 72 families impacted by the catastrophic wildfires, offering a total of $40,300 in monetary assistance. As our volunteers met those who came, each person shared their own story of escape, terror, and grief. Some fled the advancing inferno with minutes to spare, others in the chaos of roads closing, or airlifted by helicopter – their shock still palpable. Helping people impacted by such dramatic experiences decompress is part of the aid we offer, and it can mean the world at a time like this. 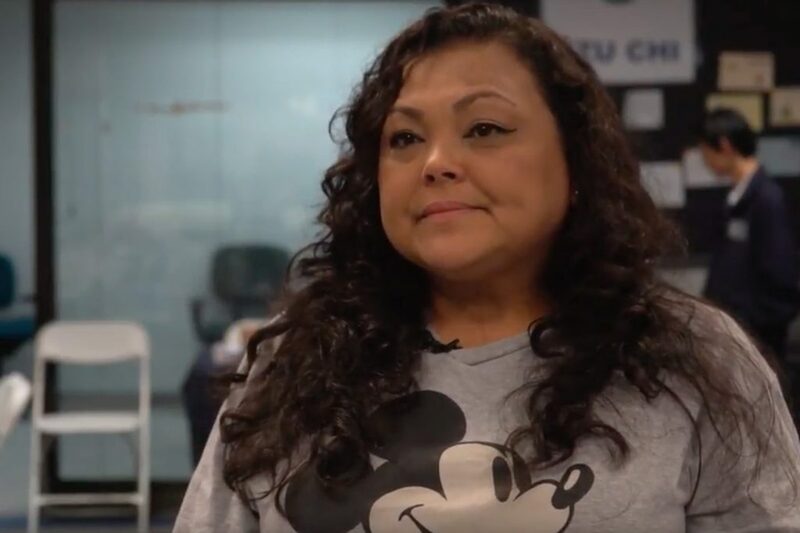 Julie recounted how she and her husband escaped in the middle of the night after firefighters came to their door. We left everything behind. We weren’t able to grab anything. 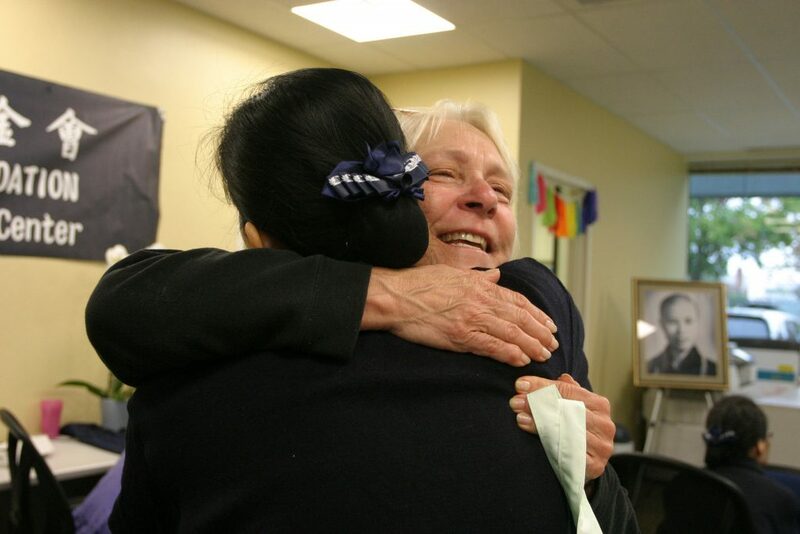 I can’t even begin to tell you how much it means to me – more than the money – that people care. Moved to tears, Julie shared how much this inspired her. 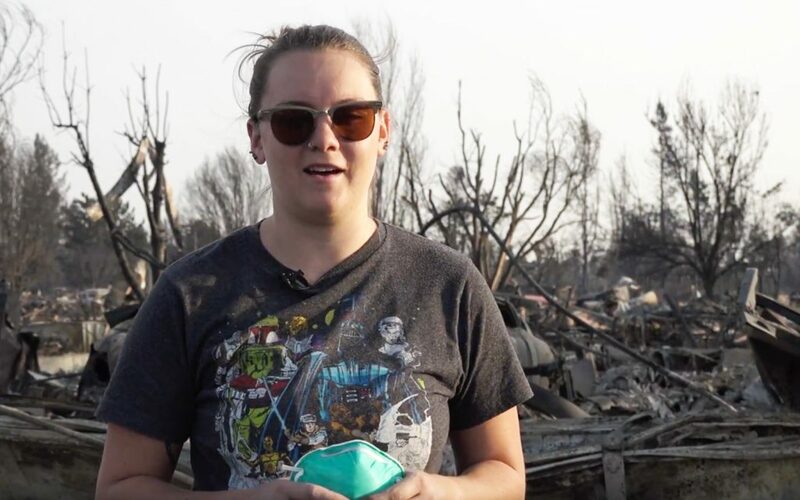 For Erica, an aid recipient who was recently married and lost her home as well as all of her wedding gifts after the Tubbs Fire, the comfort she felt was deeply appreciated as well. It’s amazing, the outpouring of love and support that we’ve gotten from everybody here. 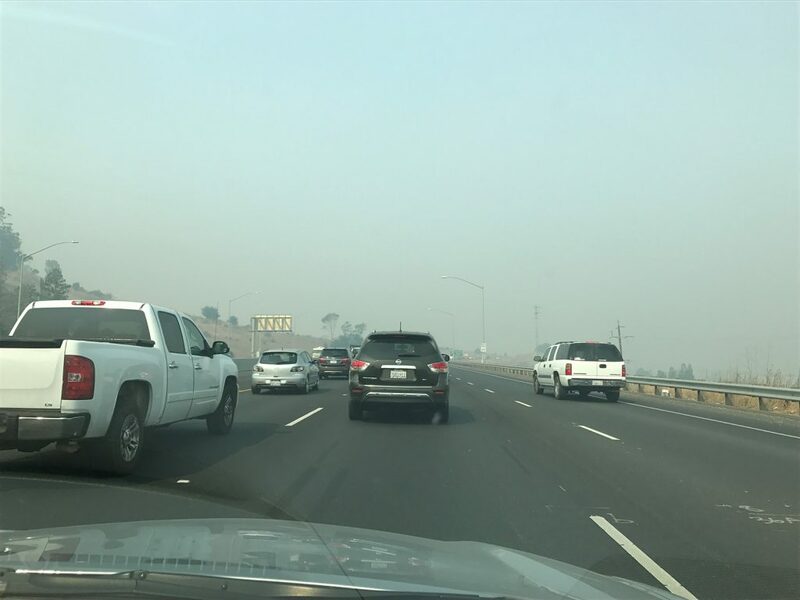 According to the California Fire Department, more acres have burned in the past nine days within their areas of responsibility than in the first nine months of 2017. 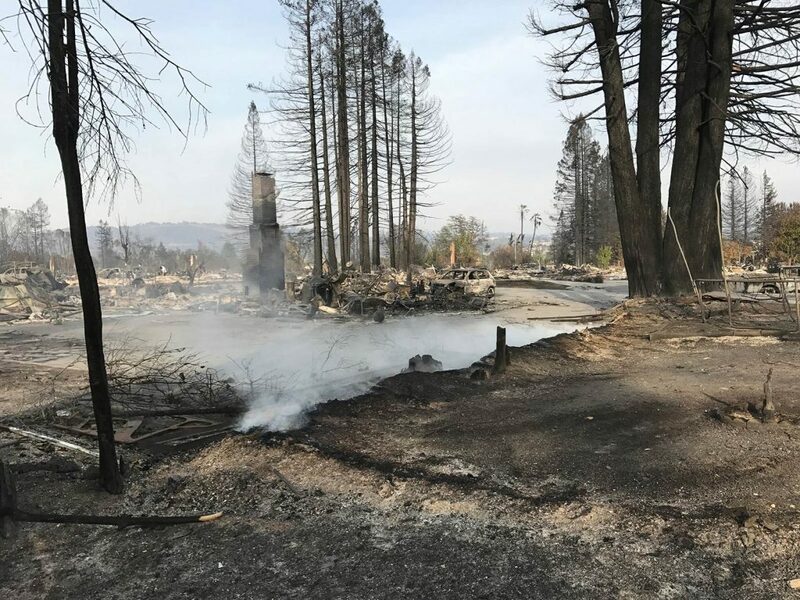 To make matters worse, two new fires had ignited – the Bear Fire and Dublin Fire. Although rain – which would help quell this relentless catastrophe – had been in the forecast for Northern California, it has not come as yet. 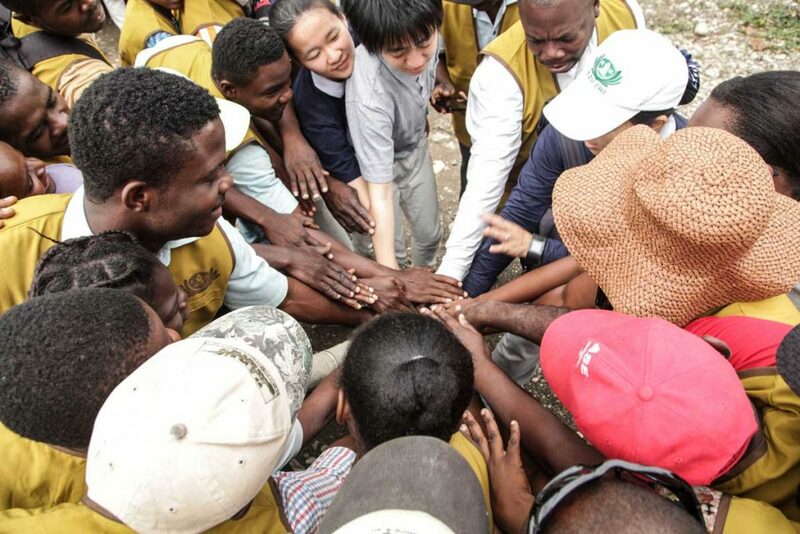 A team of Tzu Chi Relief volunteers is continuing our disaster assessment. 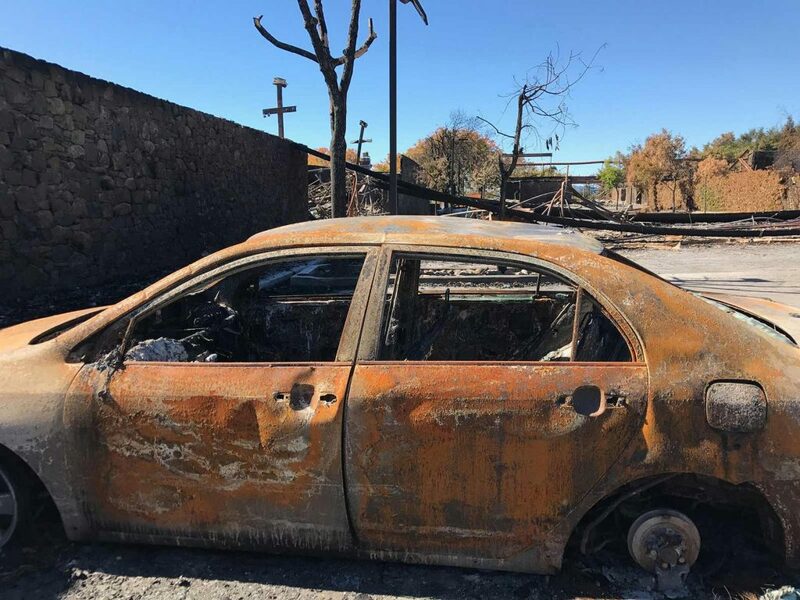 While they could not access some places due to closed roads, they reached the Napa area where they found more scenes of utter devastation, with buildings, homes, and cars, completely devoured by the flames. And as is often the case, sometimes one area had been completely scorched, and just a few feet away, another was spared. For some local businesses, such as the Signorello Estate Winery, while structures and grassland had been destroyed, the vineyards were intact. The owners are now running their business from a picnic table in the parking lot. In other parts of Sonoma County, entire farms with all their machinery were burnt down to the core, with everything lost. 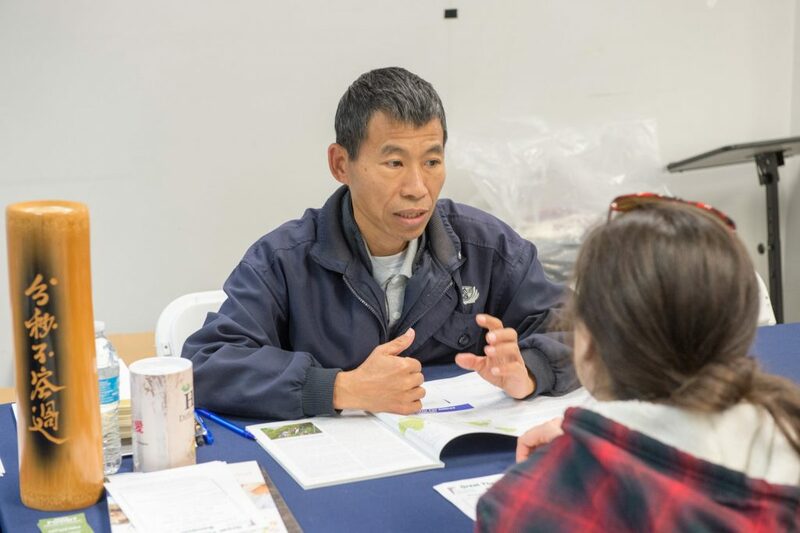 Concurrently with the disaster assessment, our volunteers are assisting Federal and State Agencies, and are manning tables at the Local Assistance Centers in Santa Rosa and Napa. There, volunteers are conducting intake of cases referred by FEMA and the American Red Cross. After talking to the people who come in seeking assistance, they can discover their needs and situation: This being done in anticipation of our financial aid which will be mobilized shortly. At the moment, we are distributing our eco-friendly blankets, and have provided close to 300 to those coming in seeking aid at Local Assistance Centers. 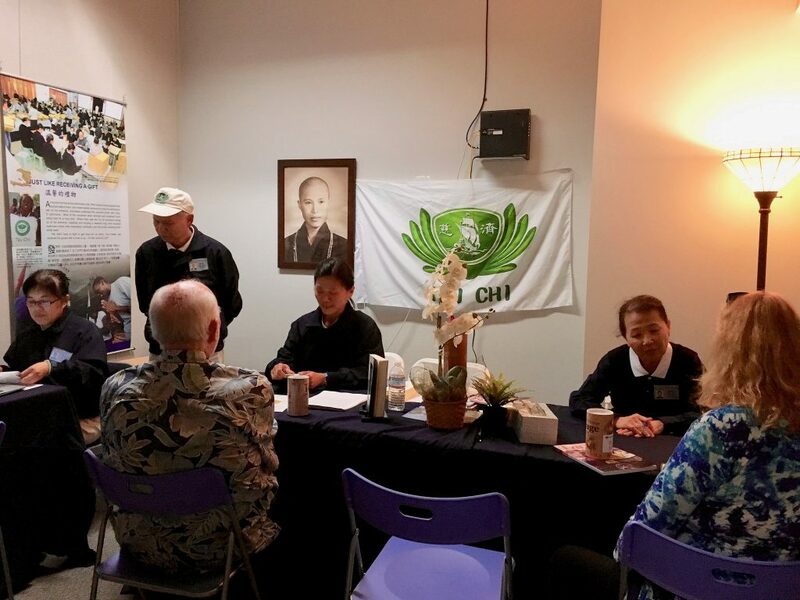 Other teams of Tzu Chi Relief volunteers have not ceased their steadfast efforts to provide hot meals for first-responders as well as evacuees living in shelters. The multipurpose foldable beds that we provided to the first responders at the Emergency Operation Center in Santa Rosa have been returned and will be sent to other locations as needed at the frontline of ongoing efforts to contain the wildfires. Support our disaster relief mission. 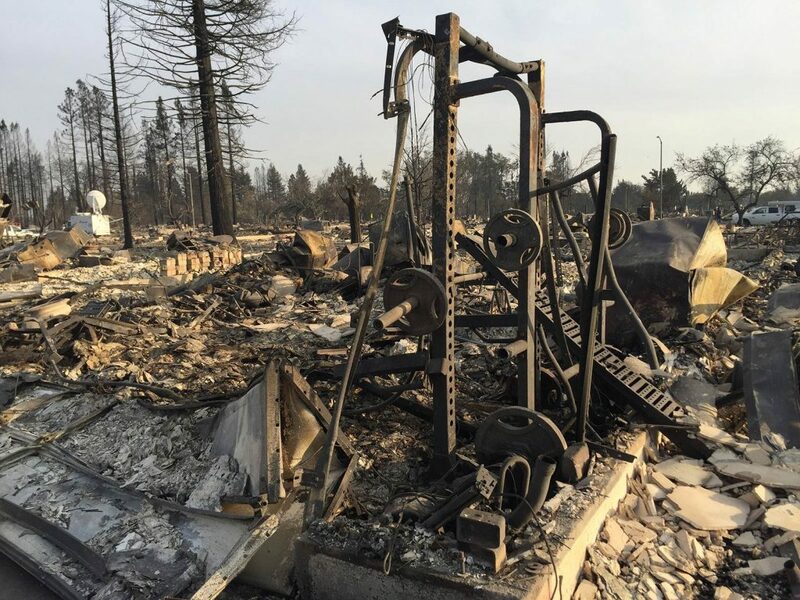 Although the winds were beginning to abate a week after this fire crisis began, containing the 15 large wildfires that continue to burn across Northern California is an ongoing challenge for the 11,000 firefighters entrusted with this daunting task. Our volunteers delivered more of our multipurpose foldable beds and eco-friendly blankets to the Santa Rosa Fire Department, offering a means for the exhausted first-responders who are working grueling shifts to catch a moment’s rest. 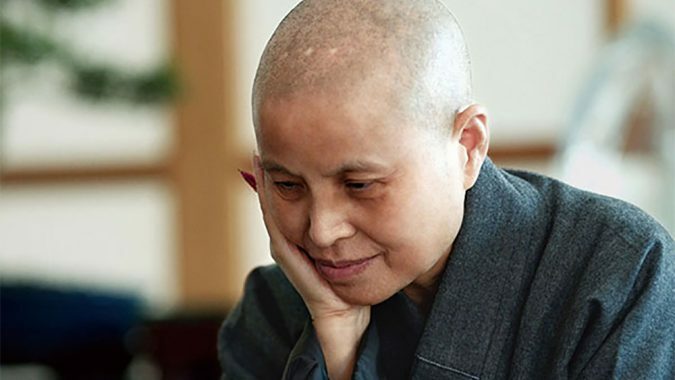 Tzu Chi’s multipurpose foldable beds can easily be transformed into chairs during the day, their varying function of practical use as those who protect the safety of families in harm’s way recover the strength to keep going strong. Our volunteers continue to prepare and serve hot meals for evacuees, and help the American Red Cross with shelter setup. Other teams persist in assessing fire damage in the area – a task that is difficult given roadblocks and hazardous air quality. After attending an information session at the Emergency Operation Center in Santa Rosa, our volunteers set up tables at the Local Assistance Centers in Santa Rosa and Napa in order to serve families coming in looking for some form of aid. When one couple arrived, we learned that they were camping in Bodega Dunes Campground, Sonoma County, because some shelters in their area don’t accept pets. Since they fled the advancing wildfires, they’ve been sleeping on the cold ground in a tent and surviving on cookies and toast. Our volunteers immediately offered them hot meals and gave them our multipurpose foldable beds and blankets. Since the beds can serve as chairs when needed, they were truly appreciated by the couple as they’ll also be more comfortable during the long days at the campground. We will continue to maintain our information desks in order to help families whose lives have been turned upside down and who’ll need a lot of support in the days and weeks ahead. The day began with the realization that the Tubbs Fire has burned 28,000 acres in Sonoma County, leaving many communities in Santa Rosa in ashes. By now 4,991 persons were housed in shelters, with 32 available at that point. Of the homes that had survived, 50,000 were without power in this city with a population of nearly 175,000 residents. 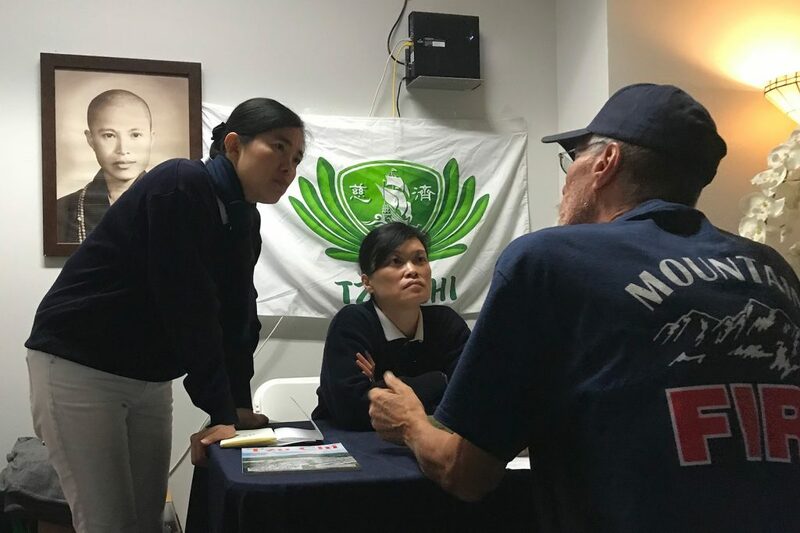 Tzu Chi Relief volunteers began their disaster assessment early that morning, driving to neighborhoods where some incinerated objects were still smoldering amid apocalyptic scenes of homes that had been completely consumed by the flames. Residents were trickling back, each in utter shock as they stood on the scorched site where their house once stood. It’s very scary. I never saw a big fire like this, especially in the downtown area. Our volunteers offered their love and moral support as they listened to the heartbreaking stories of families that were searching through the ashes for any memento they could salvage. On another front, our volunteers delivered hot food to an American Red Cross shelter at the Finley Community Center in Santa Rosa. 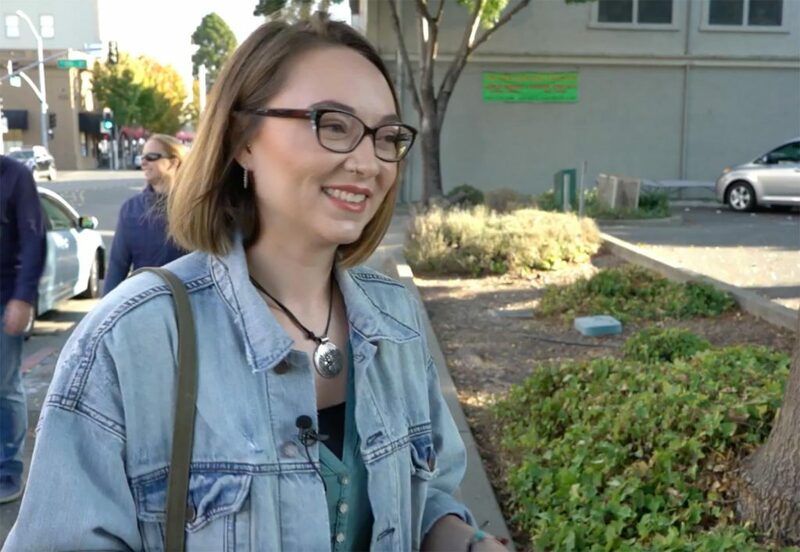 They also returned to the Catholic Charities of the Diocese of Santa Rosa Family Support Center where they had provided meals the day before, and brought blankets to distribute to the people being housed there. We definitely needed additional blankets today with the evacuees, and the people who are sleeping in the cots. We didn’t have enough for everybody last night … but now we have enough. 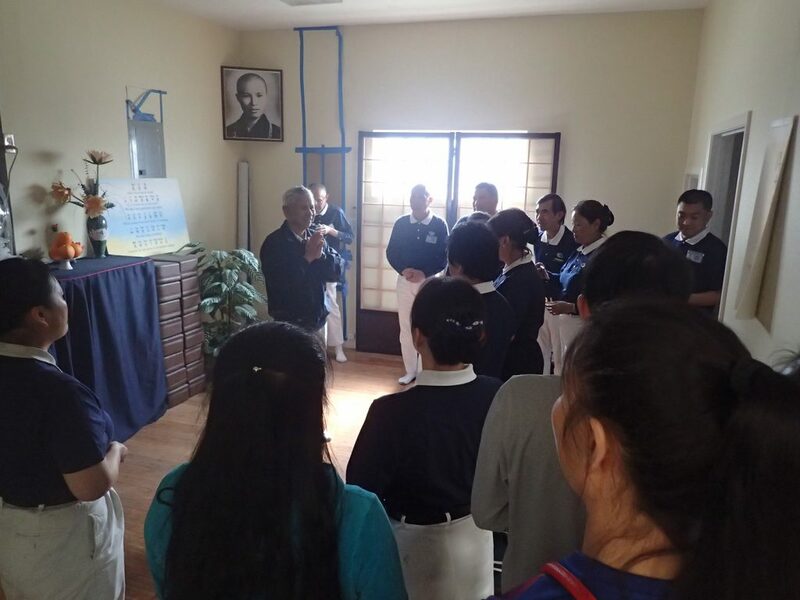 Back at Tzu Chi’s office, volunteers from San Jose had arrived to deliver more supplies. We also set up our multipurpose foldable beds so that the volunteers who would be serving this mission could catch a moment’s rest during their long hours of work. A series of wildfires sparked in Northern California on the afternoon and evening of Sunday, October 8, 2017. Fanned by high winds amid hot and dry weather, they raged treacherously out of control during the night, scorching thousands of acres, devouring entire communities, and forcing sudden evacuations with many fleeing advancing flames with seconds to spare. 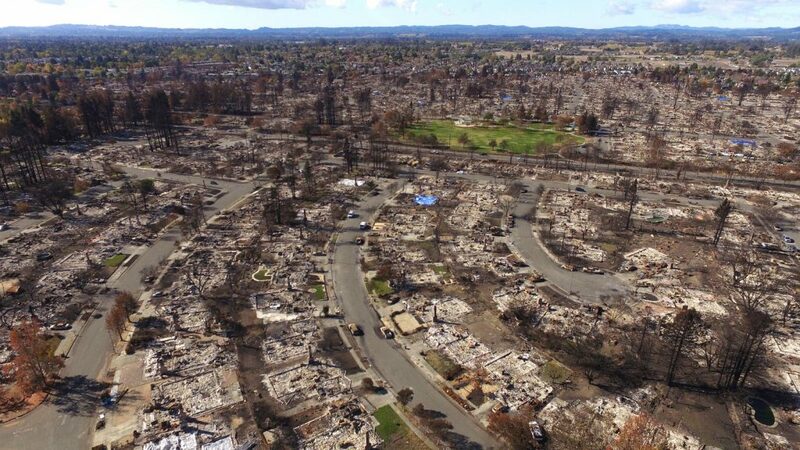 The Tubbs fire, the largest blaze in Sonoma County, had torn through the city of Santa Rosa and destroyed 1,500 structures by dawn. 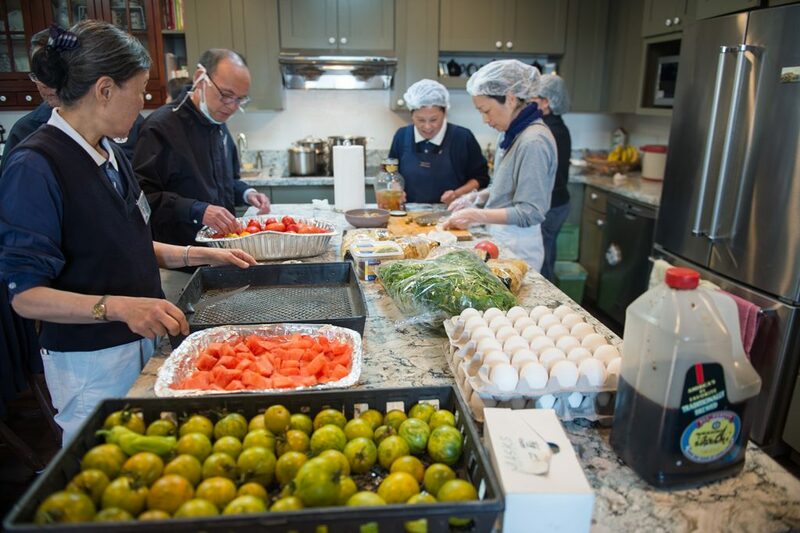 Tzu Chi Relief volunteers in the city were already mobilizing during those early morning hours. 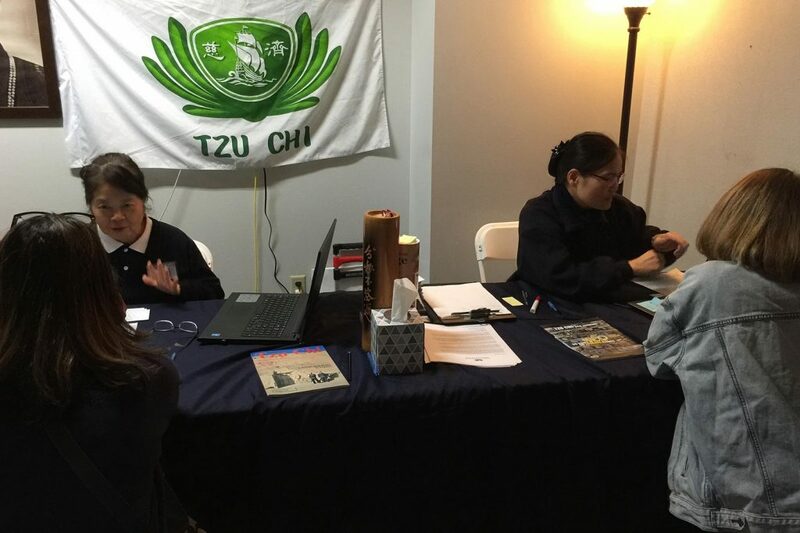 Thankfully, Tzu Chi USA’s Office in Santa Rosa – just a mile from the evacuation zone – was intact, with the power still on. This would become the command center for the start of this quickly escalating wildfire relief mission. 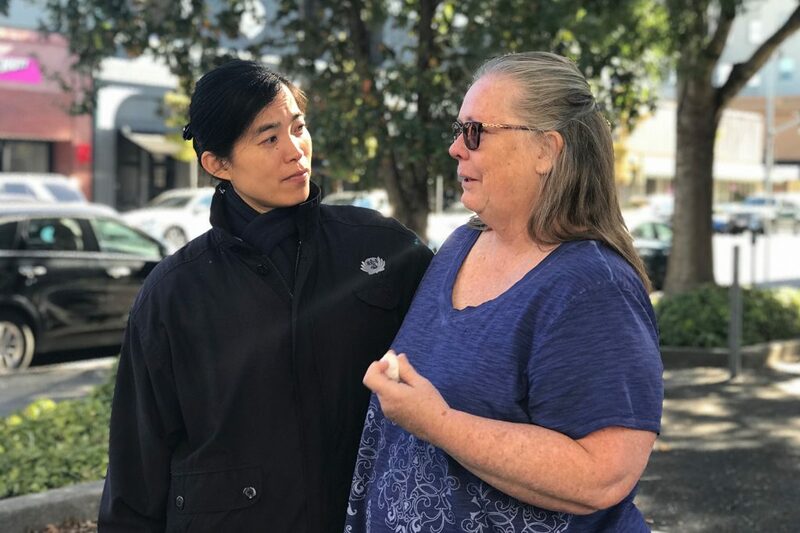 By 11:30 AM on October 9, volunteers had prepared lunch for fifty persons, and then delivered the meals to the Catholic Charities of the Diocese of Santa Rosa Family Support Center, where evacuees from the fire had found shelter. Meanwhile, relief supplies and donations of food from other regions were arriving at the office. Meanwhile, relief supplies and donations of food from other regions were arriving at the office. 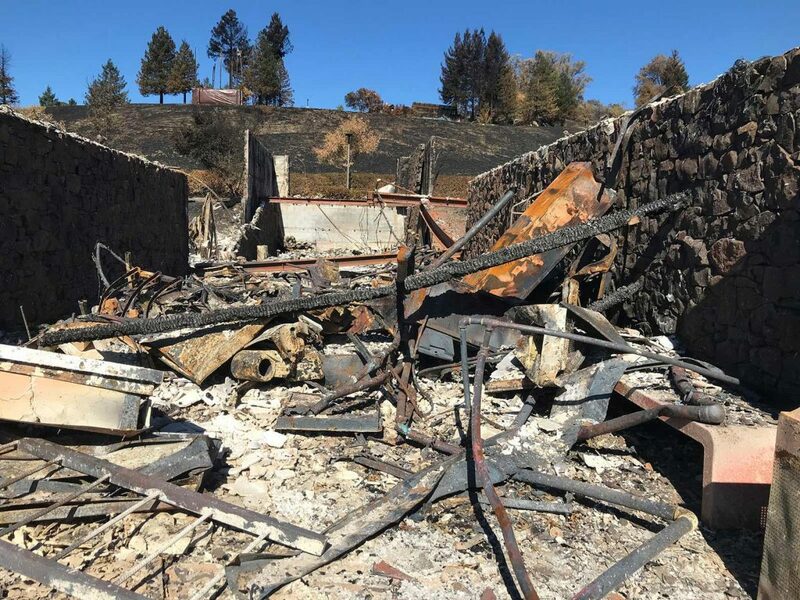 A second meal was served at the Catholic Charities shelter that night, and with the news that the fires were spreading and were 0% contained, everyone knew this was just the beginning of an explosive catastrophe, whose extent was impossible to measure. We will provide detailed updates on this mission. Please keep the people impacted by this terrifying situation in your thoughts and heart, and support Tzu Chi Relief disaster aid. Together, by joining hands and offering our love, we can bring relief where it’s desperately needed.